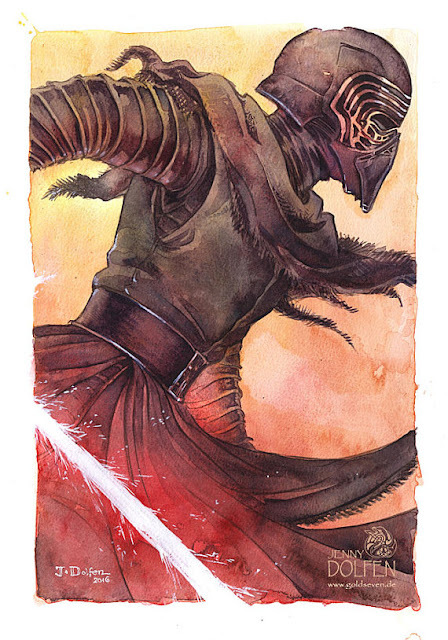 EPBOT: March Art Roundup: "Stained Glass" Star Trek, Watercolor Kylo Ren, & Geeky ABCs! Plus Frampton has three alphabet volumes, so you get three choices for every letter! Smith starts by carving/scratching her design into a sheet of copper, then adds swaths of colored ink to the plate and presses on her paper, which gives the etchings that neat color variation. I'd love to see a phoenix in this style, wouldn't you? That link up there is to Etsy, but there are more prints and options in Smith's site shop here. 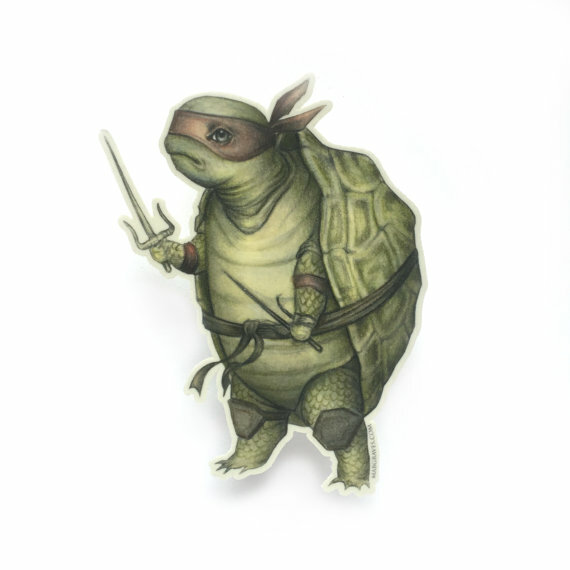 And can we talk about the awesomeness of this Realistic Ninja "Tortoise"? Check Graves shop for lots more, or follow her on Facebook to keep up with appearances & shows. How many Princess Easter eggs did you spot? Go back and look closer! Again, loooove that story-book look and texture. Prints start at $12, so be sure to check out Grason's shop for the rest! So if you like either/both of those prints be sure to tell me in your comment, and I'll enter you in those drawings, too. Happy commenting! Please enter me into the wildcard giveaway. Thanks! 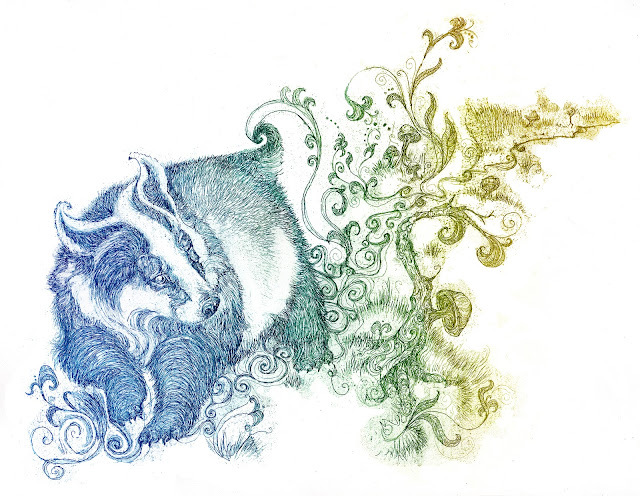 Those etchings are insanely gorgeous! And the Aayla Secura print would be an amazing gift for my friend Who just published her first book! As a former derby skater (Paige Fault 404) and a recent Batgirl fan, I am definitely into the DC Derby Babes print! Thank you for some excellent Etsy shop suggestions! Twilek Kitten, if you please. I'm definitely saving those stained glass pictures for later, wow! Thank you for highlighting these talented artists! So many lovely things on your Pinterest board! Also, cake wrecks was hilarious today. Thanks. Those first two artists...wow. I am in awe! Love the stained glass!! Enter me for the wild card drawing too. I love these posts every month. Also, I love BOTH the extras! Anything Doctor Who would be lovely for my grandchild's nursery. You find such great pieces! I particularly like the TMNT 4 prints and Beaker & Honeydew. I love the Belle and Beast picture as well as Bunsen and Honeydew! Also, the DC roller derby babes are awesome. These are fantastic, and I am loving the vintage looking Doctor Who poster on your Pinterest board. Talk about love at first site. Love love love the copper etchings - please enter me for everything! They are all wonderful as usual! Love the DC babes print. Love these! And right after all that jewelry (had to buy labyrinth door knocker earrings of course! )I totally love the DC Derby Babes. Also, wouldn't that be a great cosplay group? Surely someone has done that. Wow, great picks this month. I'm certain every window in my house needs that stained glass art hung in it. 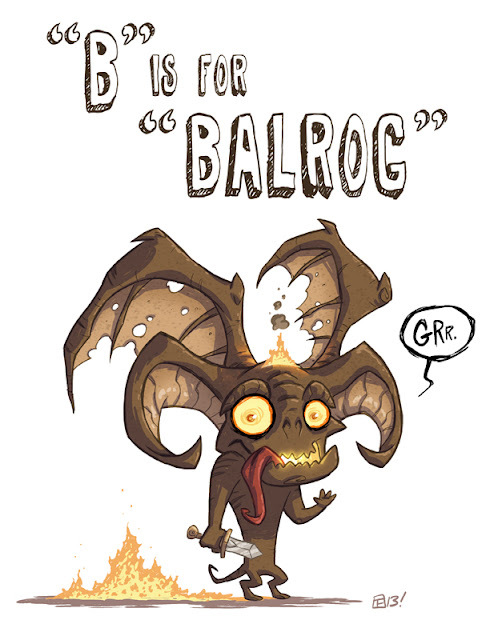 You always find the loveliest, geekiest art on the internet :) Thank you! those derby girls! so fun! I like the aayla secura print! Those DC Derby Babes. I think I need that in my life. Enter me in the drawing please! Yay! So happy you discovered Jenny Dolfen! I've loved her art for *ages*, but I'm a Tolkien fan so it's her art from the Silmarillion that draws me. 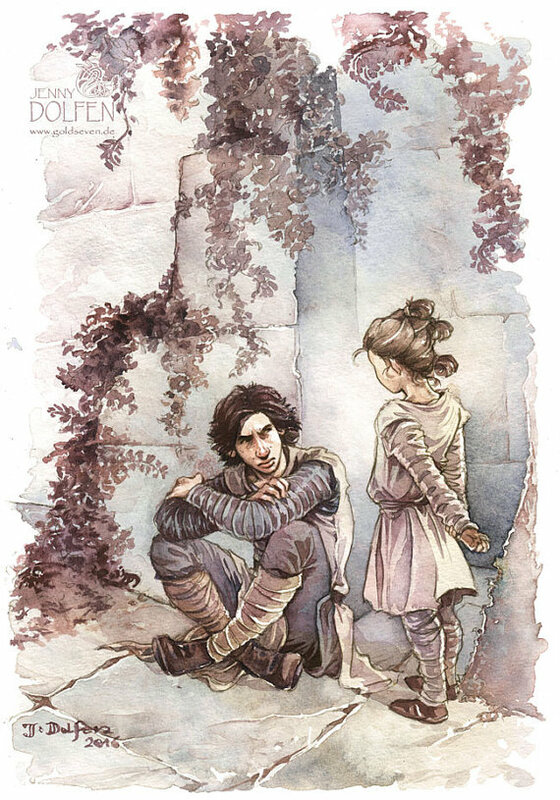 I've actually been meaning to point you to her now that she's doing some Star Wars art, so I'm glad you found her. I'd like to be in the regular drawing and the DC Derby Babes drawing, please! Love everything, as usual. OMG I need the stained glass!!!! Love the Doctor Who one so much! I also love the Alice and Wonderland! The stained glass piece are AH-MAZING! Probably my favorite of your posts. Love both of the "wildcard" options. I love these round ups. And I'm still drooling after the Believe TARDIS, Dogtor Who and the Droids on your board!! The copper etchings are beautiful! I would like to be entered in the wildcard draw please. I love the "Derby Babes" print! I have a friend that is a Diz Geek AND a Derby Girl. This would be a perfect gift for her! Oh man, I am so in love with the "stained glass", as well as the Kylo/Rey pictures! And that DC Derby Babe print is to die for. Pick me for Aayla Secura! Or for a pick off the board - I think getting access to your board MIGHT just be enough to get me to sign up to Pinterest. The stained glass stuff is gorgeous. And sign me up for the DC Derby Babes contest. I really like both of those prints at the end. I love the stained glass ones. That would be really cool printed on vinyl to hang over a window! I love the DC roller derby babes! That would be fun to cosplay! Another glorious round up. I went and did as you said and bookmarked the Etsy store. I think I want them all! I love the Aayla print at the end, I'd love to be entered for that one! Ahh, those stained glass prints are amazing! Those roller-derby superheros! So cool! 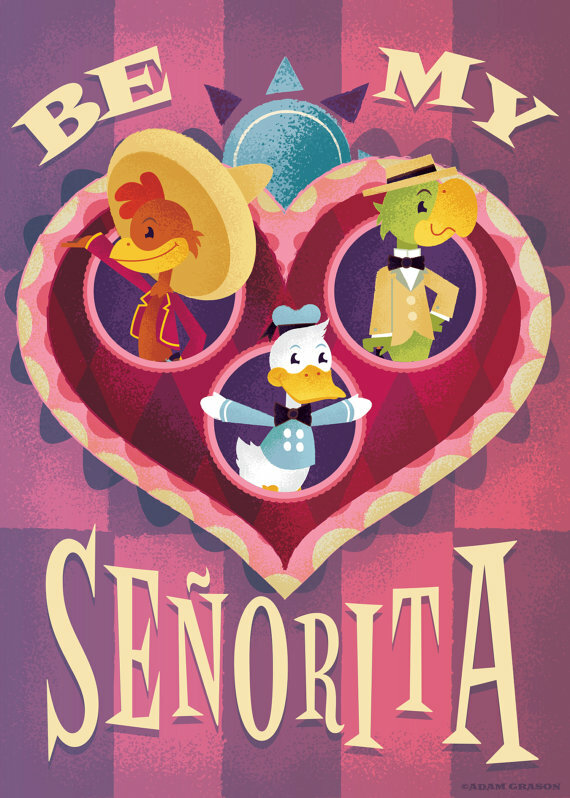 The Three Caballeros brought back childhood memories... now I gotta go watch that! I would love to be entered for the Twilek print, please. Amazed at how you find this cool stuff. I'm not even a "geek" and would hang these in my house. Really neat. Love the Doctor Who print! Great finds as usual. Please enter me for the wildcard drawings too. I would love the Wam-PAL or the Wedge on the Ledge! Wonderful art as always, so many beautiful things to choose from and geek over. So much awesomeness! The stained glass! The alphabet book! Awesome stuff and a great variety this month! Thanks for sharing and please enter me in the wildcard drawing. Pick me pick me! For the Pinterest art give-away board! I just spend an hour deciding which ABCDGeek drawings I would choose--if I had any money to spend along with my time. Amazing stuff! Enter me for the wildcard, please and thank you!!! You always find such cool things! I am loving the Robot with Flower. But the DC Derby Babes reminds me of my friend who refs derby (sign me up for that too, please). Otis Frampton also has a great comic/graphic novel series called Oddly Normal. It is a must reach for anyone who feels like they are a bit of a misfit. I love them as much as my son does. The artwork is just beautiful! I'd love to pick a drawing .. BUT I have cousin that would ADORE the roller-derby heroes, and I couldn't pass up making her smile. OMG! I love both! So cute! Oh my gosh, as always, so much wonderful art! I wish I had unlimited funds and space! I would love to win something from your giveaway board- you have so many awesome pieces. I love your blog and you are a great inspiration. 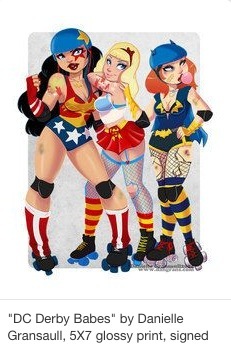 Would love the DC Derby Babes print! Very cute! You always find the best stuff! I save up ideas for my daughter's bedroom. We would love to win anything! You're right, those copper plate prints are gorgeous! Thank you for hosting these every month, I love seeing new work in such a variety of styles. Great finds, as per usual! That little Jawas and BB-8 print is just too cute for words. I loooove copper plate prints! They are just so cool. I only spotted the pictures of Ariel and Cinderella and Chip from Beauty and the Beast in the Alice picture. Are there more references I'm missing? The Twilek is my personal favorite! So cute. 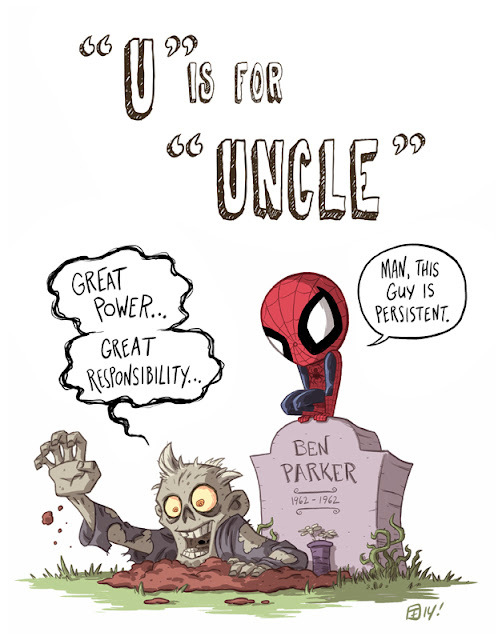 I might need to buy the geeky alphabet book for my friend's baby! So adorable! So much geeky goodness. Loving those Kylo Ren prints. Thank for another break-my-wallet round up. I'd love the DC roller girls as my roller girl friends are trying to have their first kid and it would look great in the kids room! Loved these artists! Definitely bookmarked their sites. I've always loved that DC Derby Girls print. Thanks for another fun art post; I look forward to them every month. I instantly thought Hufflepuff on the etching, too! Wow, I will definitely be purchasing some of the stained glass when the store is reopened. Thanks for sharing. Again, so much good art! How do you find it, month after month? Wildcard me please! Fingers, toes, arms, legs and everything else crossed! That alphabet is awesome! I also love the DC Derby Girls print. Thanks for sharing! LOVE the Alphabet set and the Labyrinth too. The DC Derby Girls is fantastic as well. Where do you find such awesome art?! Put me on the list for the Twilek print! I love it. Also, that stained glass print is so beautiful! You always have the best round ups! I always love your art roundups, even if the subjects aren't my particular interest, they're always cool. It's so nice of you to showcase artists this way. Loving so much from today's roundup. Please enter me in all the draws. I can never pick just one, you have the best eye for talent! Sign me up for anything to win! Thanks as always for the finds. can't believe how beautiful the stained glass prints are. Always love your picks! So much ADORABLE! And I love that Ayla print too! Those stained glass prints are really awesome! I think I know what we are doing with our theater room window. The DC Derby Girls or the Chibi Rocketeer. My cousin just got into roller derby, she'd love the DC print. Please enter me in the drawing. Thanks for sharing such fun art! Fantastic finds as always Jen! I really love the alphabet ones! Love the DC Rollerderby print! 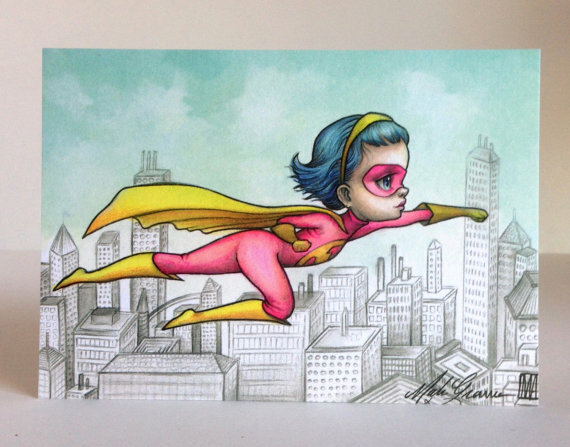 And the superhero by Mav Grabes is gorgeous. You are so mean, I want them all! 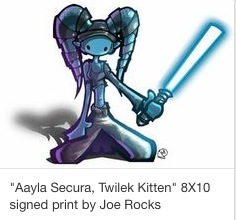 But especially that Aalya Secura, Twilek Kitten print. I LOVE those stained glass works. Definitely going to check out that shop! I'll have to look more closely at many of these! It's hard to pick just one! SOOO many gorgeous choices - but this time, I'd love to be entered so I can give it away. My darling niece has a sweet friend who is 16 going on 17 (cue Sound of Music! ), she's had a rough time lately, and I'd like to give her something to smile about. She's the "adopted niece" :)and she embraces her inner geek and I just love that! I know she'd love any of the following: Ariel's Headphones, Droids, Harry Potter Chibi Prints or the 67B Hand drawn half face prints of R2D2 and BB8. I'll be baking a cake and decorating it with probably half a dozen fandom icons (once my niece tells me just what to put on there), and I'd love to add a little special gift as well. Fingers crossed! DC Derby Babes, I've been coveting that for a while now!!! The Alice in wonderland print is FANTASTIC! I also love the DC derby print and the Aayla Secura drawing is gorgeous! Love the stained glass stuff, definitely bookmarking. Please enter me for the wildcard giveaway? Thanks! Gah! I love them all! Please enter me to win both the specific drawings as well as the wildcard! Love the DC roller derby, and I have so many star wars people in my life who would love the aayla print. i used to play derby for the atlanta rollergirls (as cobra camanda) and have shared that DC print to the league before! i would love to have it! I'm a huge MLP fan, so of course that piece caught my eye first. I'm also loving the copper etchings. That stained glass art! Gorgeous. I've been in love with that DC Derby print since you first posted it. I'd love a chance to win it!! 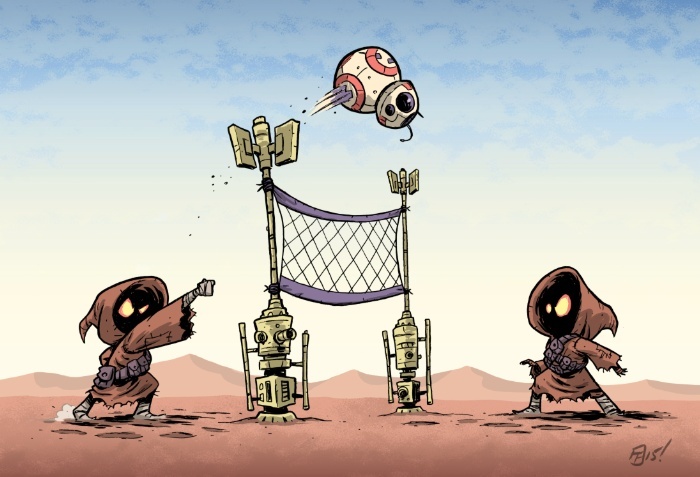 The BB8 volleyball print is the best! So funny! And please also enter me in both of the extra drawings, too! Thank you! Lovely! I would love to win the Pintrest art board drawing :) So nice of you to do this as always! I made my husband watch The Three Caballeros recently and he was like "what the?" but I love it. Those copper etchings are AMAZING! Me! Me! Please pick me. As always, LOVE! Thanks for sharing! So much awesome. I keep finding new eggs in the disney one! My sister would love to have the twilek one (she cosplays one!) and I would just love to have anything off your board, there's always so much awesome. I love all of the prints!!! I love both the Star Wars and DC derby. My 8 yr old who loves the graphic novel Roller Girl would love the DC derby print. These are all so beautiful! Especially the stained glass look. My productivity just went out the stained glass window - amazing finds as usual! EEEK!!! Randome choose and Aayla drawings please!!! Love me some star wars cuteness! I love your art board! The stained glass art is really cool. I'm definitely going to look into those! Omg. I am in love with the stained glass prints. Love! I love the Alice in wonderland art its so cool. Cutie Edward Scissorhands melts my heart! Ooo, wildcard me! I definitely need some derby babes! I've always loved the Derby babes. And I am definitely adding Shards of Color to my favorites! The twilek kitten! Soo cute! You have such an eye for art!! I'd happily be entered into the giveaway for any art piece, be it from the main giveaway board or either of the wildcard pieces. Thank you!! I would love that chibi Aayla Secura. I love love love the stained glass prints! And the roller derby girls! I've always loved that DC derby babes print. The style is fantastic, the bright colors are great, and they just look so sassy. Also, I don't really have a lot of pony stuff, but I must admit I'm kinda tempted by that stained glass Royal Sisters print. It would be pretty fun to have that up on my window - even if it didn't really match anything in my room. 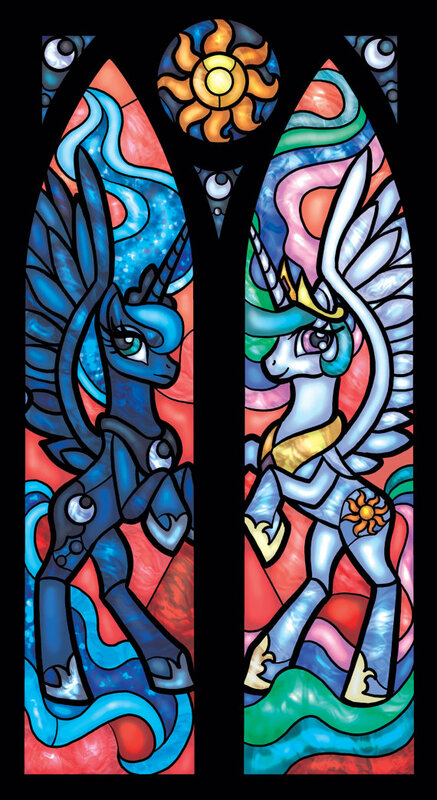 Of course the pegasis in me is upset that it's not the stained glass style from the show, but only a little, haha. How do you keep finding all these artists, Jen? 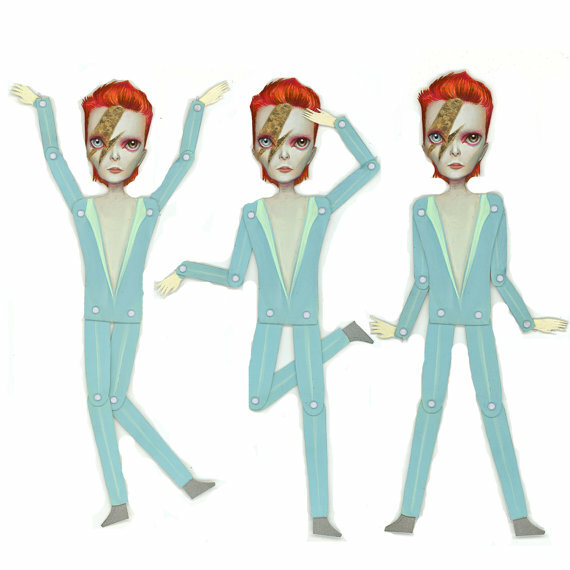 It's amazing - you're like an avatar for (geeky) small business Saturday or something! .... On Wednesday. Every month. .... I need to go watch it now. Because birds. And nostalgia. I loooove Adam Grason's work!! 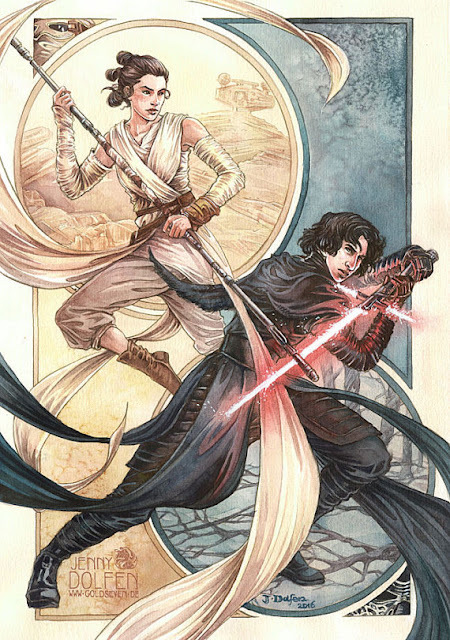 Aayla Secura is awesome, and I'd love to be entered in the wildcard drawing for that piece! I also need to start bookmarking sites, because with an imminent raise (yay!) maybe I can finally start buying some art. Such gorgeous art. I'd love the DC Derby Girls print! You always find such great stuff! Please enter me for the wild card and for the derby girls. Thanks! Great roundup this month! I love these posts and I always end up adding so much art to my wishlists! My favorite is Set of 2 Wookiee-the-Chew prints by James Hance, both 8X10 & signed (Set C). Those "Stained Glass" pieces are amazing! I hope I finally get the chance to choose from your glorious art board! Enter me for the Derby Babes also! I know someone who would love that roller derby print! 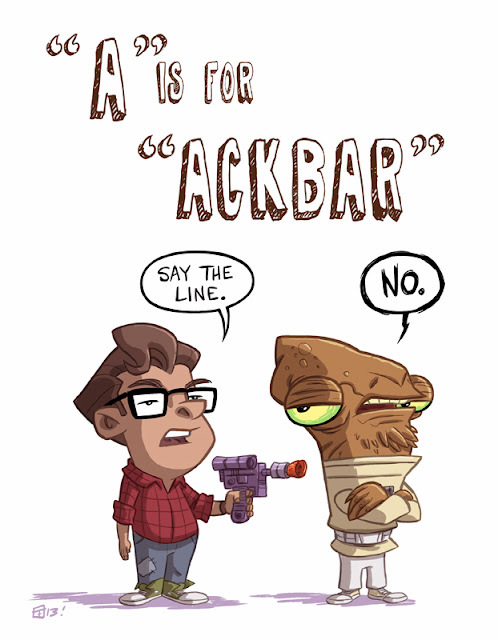 I ran into the alphabet series last week and desperately wish I had a geeky friend's nursery to furnish. My sister only wants lame cute pink stuff. Those copper etchings are amazing! I wanna learn to do that! I'd also love to be entered into all of the drawings, because who can say no to awesome art? Great roundup! Those stained glass prints are really something. Please enter me in the wildcard giveaway. Thanks! 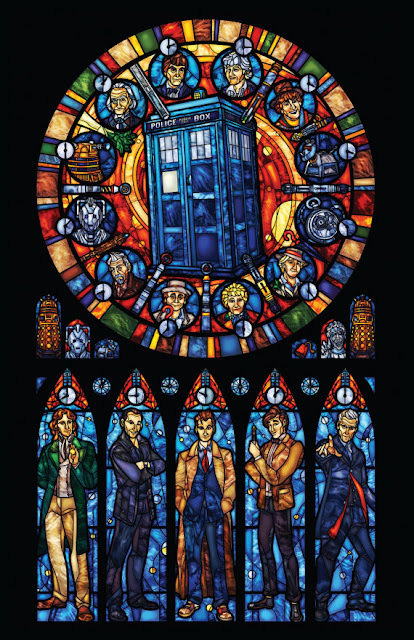 The stained glass Dr. Who art is stunning!! 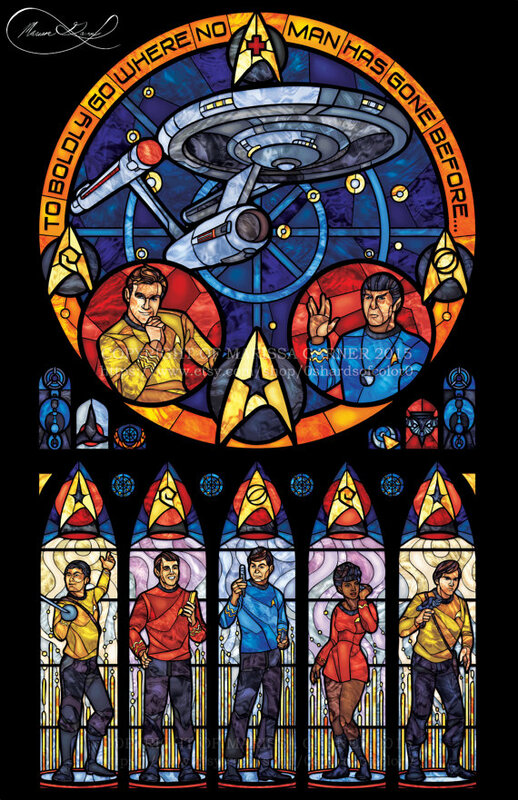 I need that stained glass art in my life! In love with the copper etchings and those geeky alphabet prints! Love the stained glass art, and Dolfen's stuff is stunning. If I get drawn, I would love the AT-AT Walk. Or the DC Derby Girls consolation prize! Ahhhhh!!! I MUST have the DC Roller Derby one!!! I've been derbying for over 6 years, am current CEO of our league, and had the honor to grace our last bout poster (see here http://www.resurrectionrollergirls.org/). Not to mention that I have a houseful of boys (and a girl) who adore everything geek. Pick me, pick me pick me!!! Would love to win the random drawing too, of course. Jen, great job as always! Please enter me in the wild card drawing and keep up the great work! Oh My Goodness, that Balrog. Want! I'm looking to move out in the next couple of months, and although I don't have a place yet, I'm already planning for it to be covered in nerdy art and toys and also amigurumi, because I love to make those! Love the Aayla Secura print. Thanks for always doing (searching for and then FINDING awesome stuff) for us! As always, I love both! Please enter me for the wild card drawing! Those Etchings!! I would love to be entered into the wild-card draw. Please and thank you! 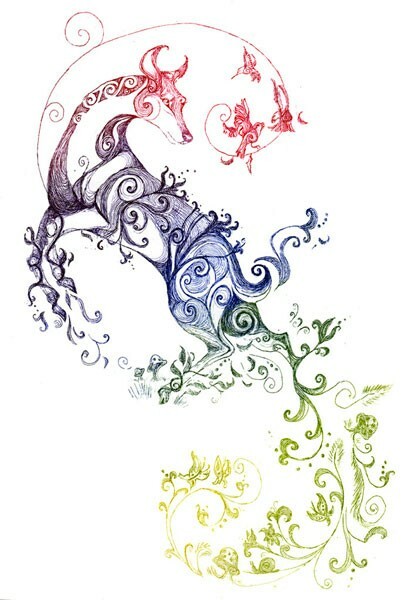 I love those alphabet prints..Please enter me into the wild card drawings too! Such a super variety! Love the stained glass. Smith's etchings and Grason's Disney stuff are wonderful! Please enter me for the wild card drawing. Thanks! LOVE them all. I wish the Roller Derby girls were Marvel - I love Marvel a bit more and have been a skater all my life. Although it's probably a good thing that they're not. Then I'd NEED one ;-) That Ayala print is adorable though. Your art roundups are always so dangerous for my wallet. 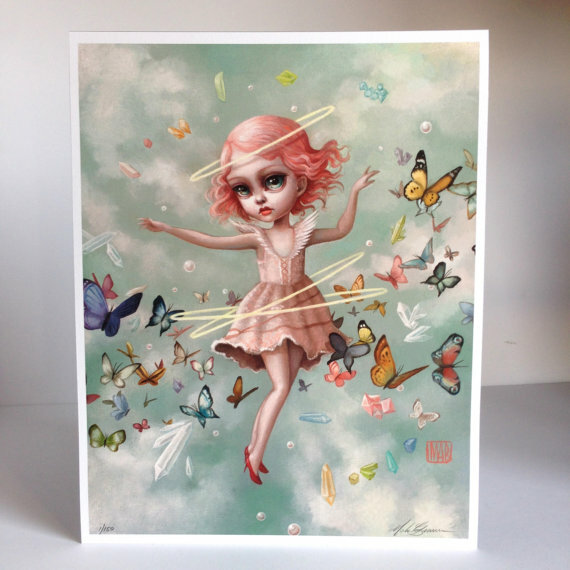 I love Mab Graves! And those stained glass prints - wow! 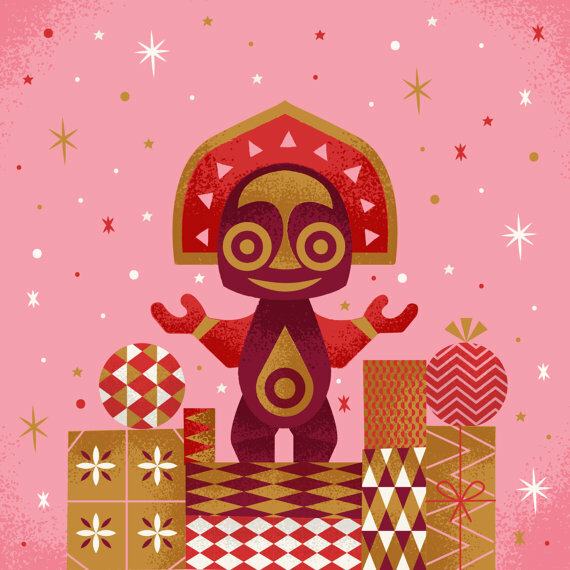 Yay for another art round up! I'd also like to be included in the DC Derby Girls drawing! 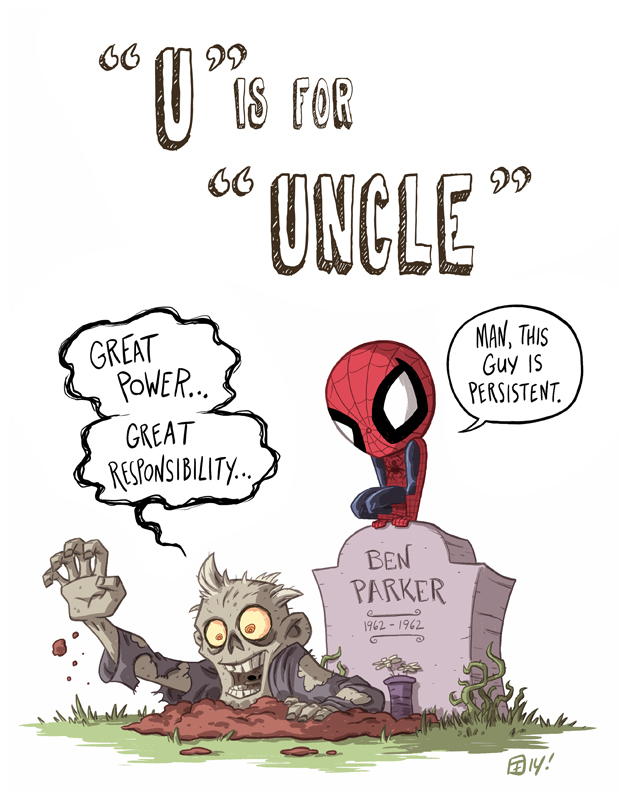 I love the ABCDEFGeek book! It's just adorable. Please enter me in the wildcard draw. Thank you. Octopus dance. I cannot find it to purchase, or I'd already own it! 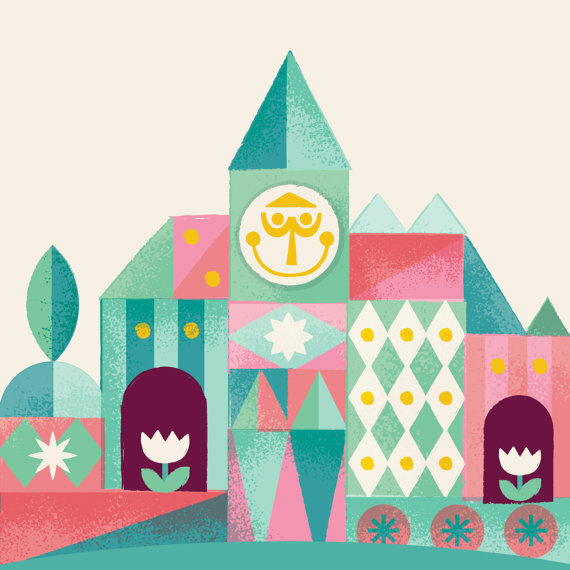 Those Mary Blair tributes are astonishing!! Please enter me for the wildcard! Those stained glass prints make my heart happy! That DC Derby Girls print is so flipping adorable!